A funeral should be as individual and unique as the person who has died and there are families who choose the funeral to be a celebration of the life that has been lived and wish to portray often an outgoing and colourful character or maybe, a real music lover with a jazz band for a funeral service. 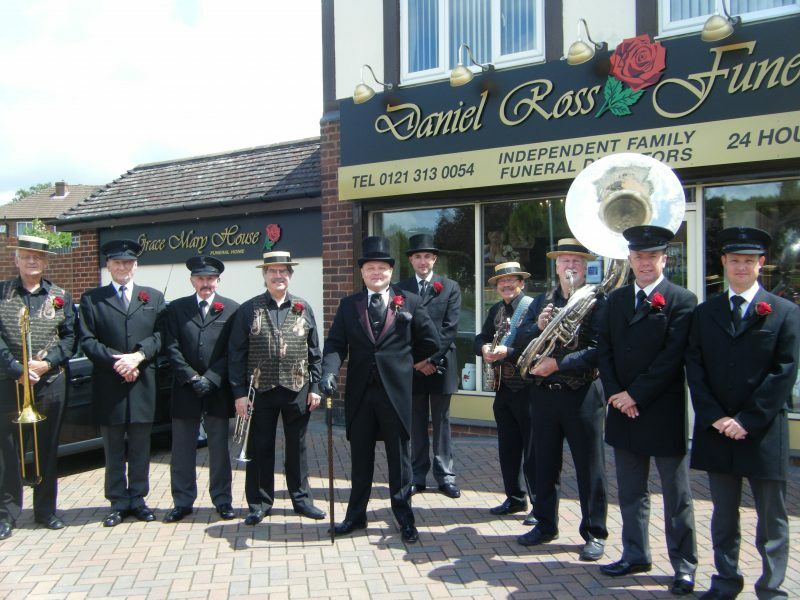 Daniel Ross Funerals are proud to work alongside a traditional four piece jazz quartet (comprising of Trumpet, Trombone, Banjo and French Horn) who are able t0 play a medley of traditional jazz music such as “When the Saints go marching in…..” and “Down by the Riverside…..” (to name but a couple) as the funeral cortege arrives and leaves the home address and on arrival at the Crematorium or Cemetery. In addition, the quartet are only to happy to meet any specific or unusual requirements. For further information and pricing on a jazz band for a funeral service, please do not hesitate to contact us.